Hello and welcome to Cards By Cricut. 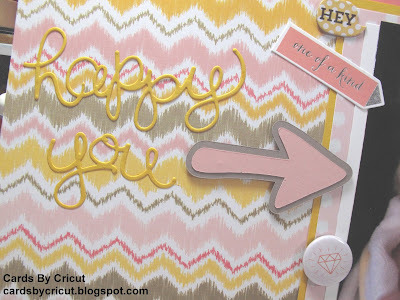 Today I have a treat for you with a Stuck On U Sketches Die Cut Challenge - Arrows. I had a hard time with this challenge and it actually took me until today to get it done because I just couldn't come up with an idea for it card wise. 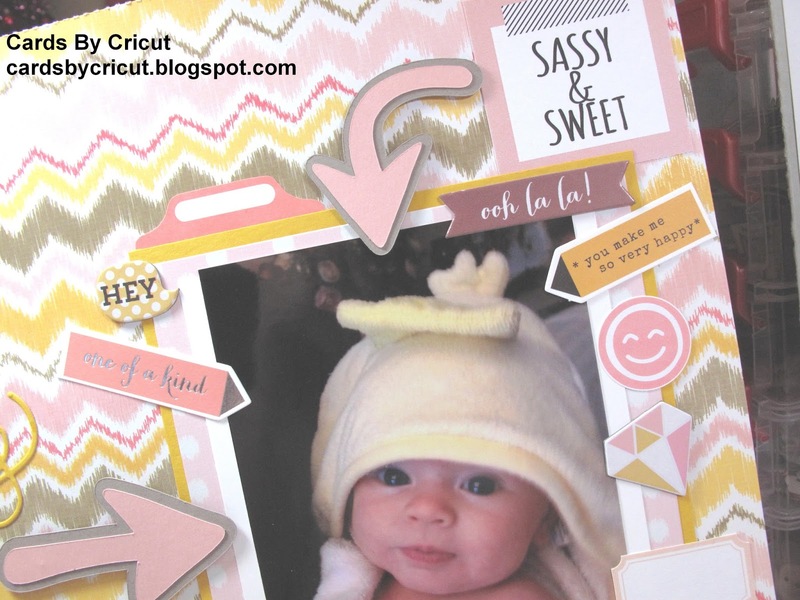 So I went onto the SOUS blog and looked at Leah's beautiful layout she did and was completely inspired to do a layout instead of a card this time. 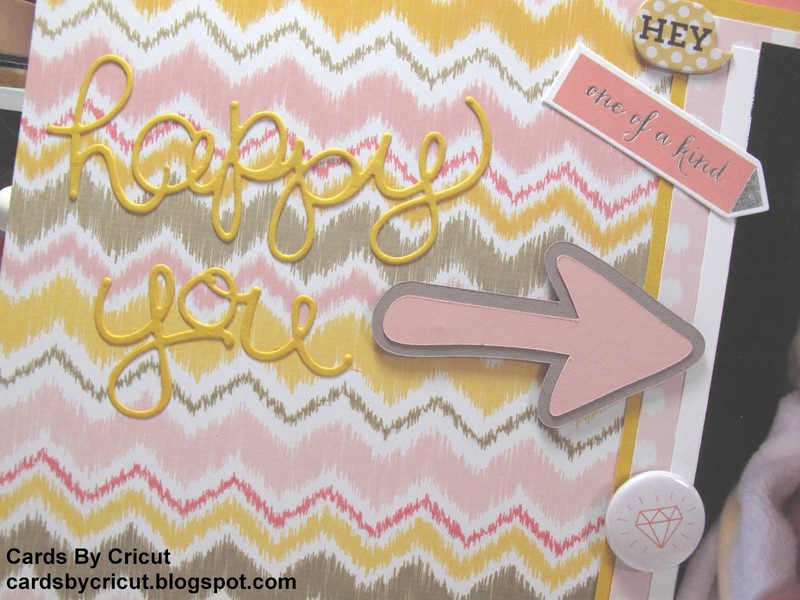 I do make layouts occasionally but I mainly make cards to display on my blog. So sweet! Love the pps and colors!